Syaoran is a distant relative of Clow Reed, the creator of the Clow Cards. 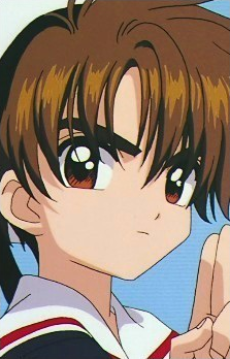 As a member of the Li clan of sorcerers from Hong Kong, of which Clow's mother was a member, Syaoran believes that he should be the one to inherit the Clow Cards, not Sakura Kinomoto. He first appears as an antagonist in the story, capturing a few cards for himself in the anime (though none in the manga). As the series progresses, and especially after Sakura is officially deemed the new master of the Cards, Syaoran drops his rivalistic attitude towards her and becomes her ally and friend, eventually falling in love with her and blushing at practically every sight of her.